Early in 2012 I had a little fun money to spend, and decided it was time to learn to shoot past 200 yards reliably and consistently. To start, I needed a fine rifle, and I needed a fine platform for that rifle. I’ve had my heart set on a nice Remington 700 for a while, with an Atlas Bipod setup (review to follow), so I picked up a Remington 700 .308 SS 5R “milspec”. The very experienced shooters over at SnipersHide recommended this rifle highly for my skill level and budget. 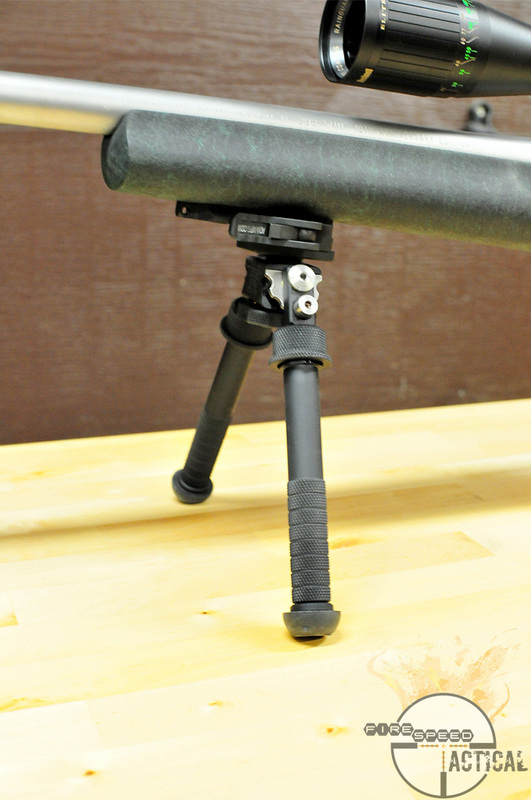 Now I needed a solid way to mount the Atlas Bipod – Enter the Seekins Sling Rail system. 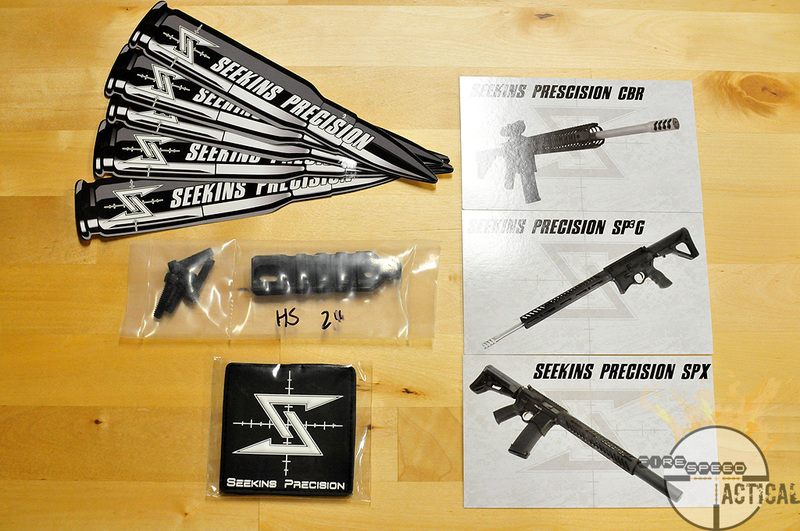 Previously I had only heard of Seekins in passing, it wasn’t until I hit their page to check out the Sling Rail that I realized these were the guys that made that cool, almost gothic looking AR lower that I’ve seen once or twice around the web (which I just picked one up for myself – another review to follow). 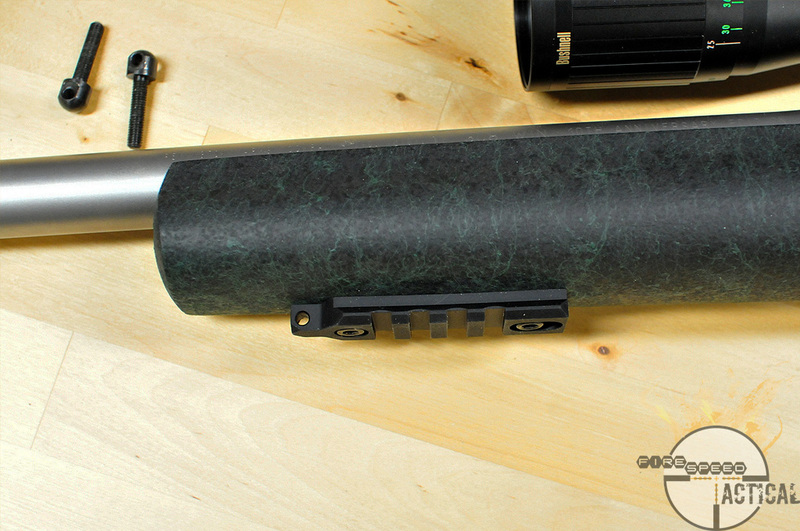 What sold me on this rail over other, more inexpensive ones, was twofold. #1 I’m a strong believer in using slings. I fear sling use is a lost art in modern times, and slings are just something to hang the rifle from. Anyone who’s seen the WWII marksman training videos, or been to an Appleseed event knows how important a sling is. 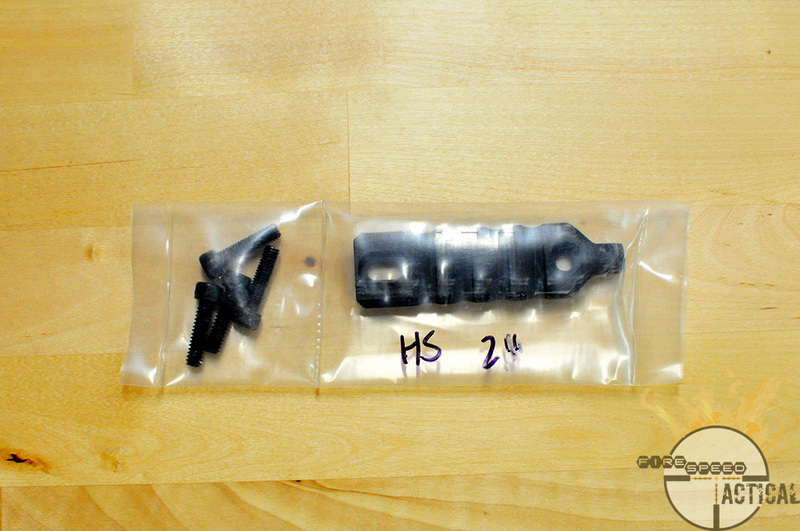 #2 I was impressed with the machining of the Seekins Rail over other less costly rails. It looked thicker, has well defined shape, and a fantastic finish – all of which shows an attention to detail from beginning to end. For my $35 I received the fine Sling Rail, a set of stickers, a nice PVC Patch (of which I’ve become a collector) and some fancy promotional cards. 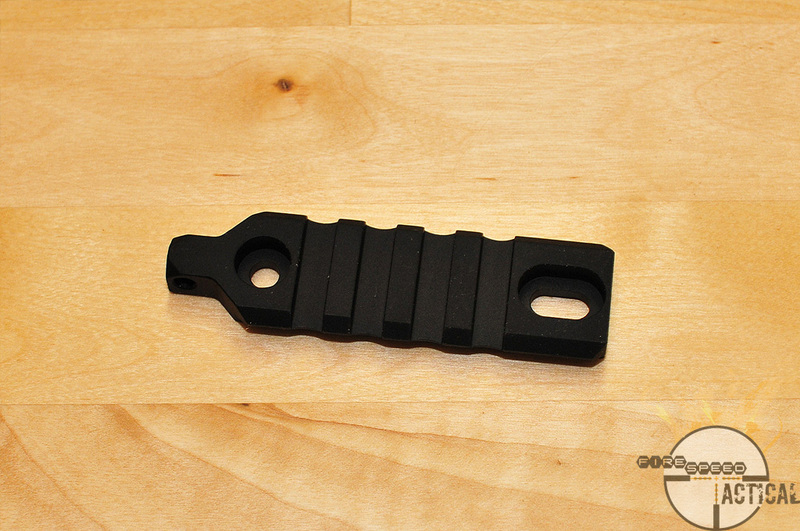 You can see from this closeup, the Seekins Sling Rail has nice hard but not sharp edges, the picatinny spacing is perfect and well squared off, the sling attachment point is solid, and the screw spacing gives you a little leeway to match many different mounting points. The Seekins Sling Rail lined up with my rifle, looks like the spacing is perfect. 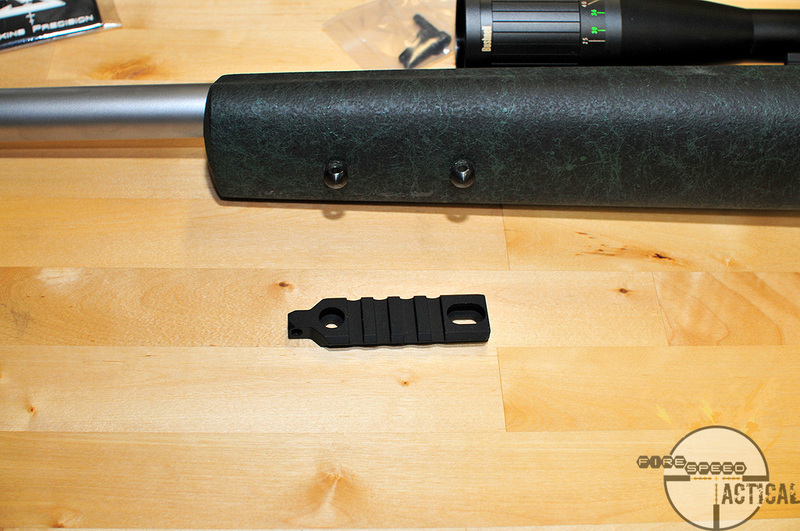 Dry fitting – the kit comes with a couple different hex nuts, it was easy enough to find the set that fit my rifle; the threads matched the factory sling mounts perfectly. Some blue loktite and some snugging down and it’s solid. Looks great and feels like it’s an OEM part to this rifle. 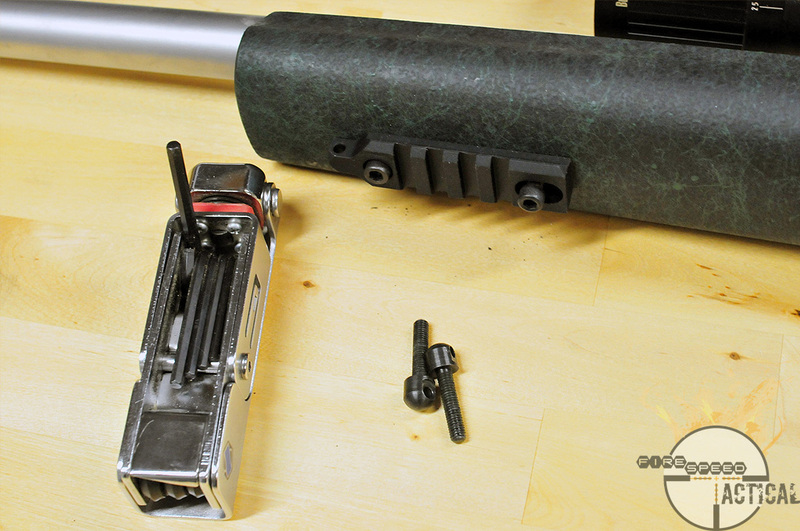 Finally, a quick test fit with the Atlas bipod. I have to say, this is the most solid setup I could imagine without having a full on rifle rest. Playing with the bipod around the shop, I felt I could quickly and easily flip the substantial legs up and down; I felt no looseness or loosening of the rail. In the field, one of the first things I did was to give the bipod a good push and pull on the bench, and even “slid into home plate” on my belly harshly dropping the rifle into the dirt, bipod first, and never once did I have that sinking feeling of doubt that I’d find my bipod folded over crooked or the rail/posts bent and left dangling. After a summer of regular use, I have to say, this is probably the best $35 I’ve put towards a rifle in a long time. Pops to Seekins for a finely machined and solid product. As with anything, be it my assembling a precision rifle, or Seekins machining, it’s the attention to detail that makes for a successful project.